This is my 4th exercise using the One drawing a day. In this exercise I was assigned to watch a video and when paused draw what I see using vine charcoal. I decided to watch a video of a live concert from Reverend Horton Heat and use the screen capture tool on my computer. After a several attempts of blurry captures I opted to use a photograph from that concert. The two important lesson to be learned from this exercise was that models can be anywhere at anytime when needed. TV, videos, the internet, photographs all can be used when live models cannot. And to learn how to loosen up, which was one of my goals for myself. I really enjoyed doing this and am happy with the outcome. 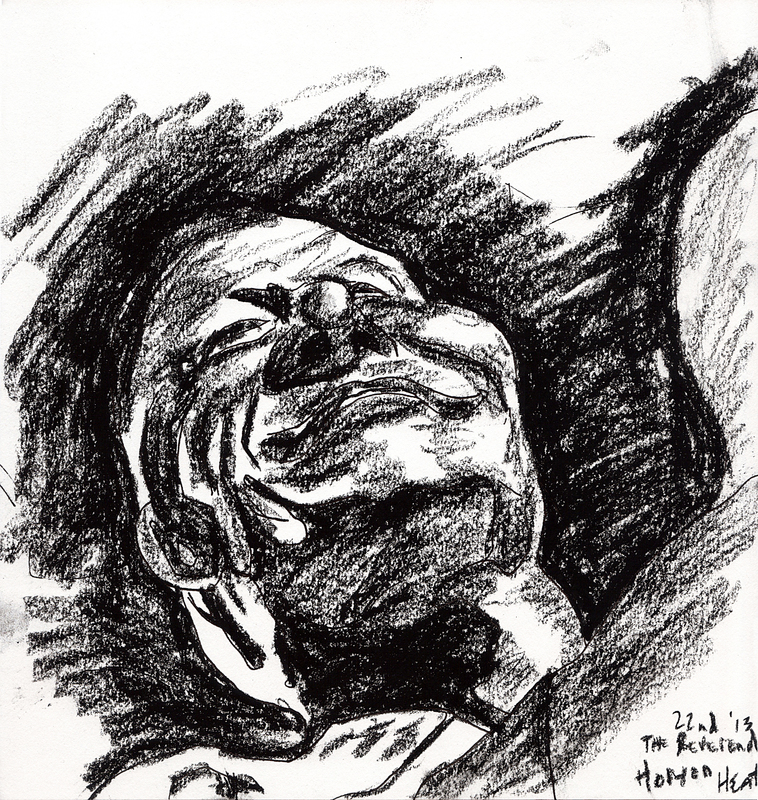 This entry was posted in My Work, One Drawing a Day and tagged Art, Drawing, drawing book, Me, My Work, One Drawing a Day, Reverend Horton Heat, sketch book, sketching, Vine Charcoal. Bookmark the permalink.